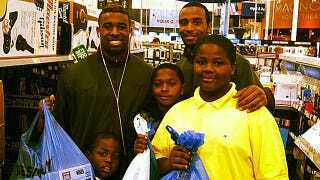 Spent my $470 Dollar Best Buy Gift Card From The Bowl Game on These Three Kids I Met from Bahamas I Met In The Store!! Made Their Christmas!! Have a happy holiday, everybody.